Forrest Richardson & Associates has deep roots in golf. This lineage begins at the Oakmont Country Club where, in 1903, Henry & W. C. Fownes, Jr. created what many believe to be among the world’s most innovative courses. Inspired by their work, Arthur Armstrong Snyder became W. C.’s Oakmont caddie. He went on to become a successful greenkeeper, acquiring an eye for golf architecture. Arthur’s son, Jack Snyder, was appointed Oakmont’s head greenkeeper. Later, he headed west and chose a life designing golf courses — more than 60 in all. It was Jack Snyder who introduced Forrest Richardson to golf course architecture. As mentor and collaborator, Snyder’s belief that golf courses “should always be fun and enjoyable” remains as our passion to present day. Known by his family, friends and clients as “Jack,” Snyder passed away on February 12th, 2005. He was a loving father who devoted his professional life to the game of golf. Snyder was a golf course architect, entering the profession during a time when the game was flourishing throughout the western United States. Born in 1917 in Pennsylvania, Snyder was the eldest of three brothers who became golf course superintendents. He was passionate about making golf fun, enjoyable and affordable. His background in landscape architecture and golf course maintenance gave him a tremendous insight to creating golf courses which were beautiful, and at the same time maintainable. His knowledge of the game of golf was developed over his entire life. His father, Arthur A. Snyder, was a golf course greenkeeper, literally raising his family in a house situated in the middle of the Alcoma Country Club located near Pittsburgh, Pennsylvania. Jack began caddying at the age of ten and worked on the golf course during summer vacations from the age of twelve. His devotion to golf course design was formulated while studying landscape architecture at Pennsylvania State University. While a senior Snyder taught a course in golf course design. He graduated from Penn State in 1939 with a Bachelor of Science Degree in Landscape Architecture. His first golf course design was the Harmony Farm Golf Club, built in 1941 and located in Jane Lew, West Virginia. It was a 9-hole layout which was later abandoned during mid-World War II due to gasoline rationing. During the war Snyder served as a land surveyor and was involved in defense design. Before moving to Arizona in 1956, he owned two landscape architecture firms in Pennsylvania. Among his clients was the University of Pittsburgh. Snyder’s career as a golf course superintendent began when he was asked to serve as the golf course superintendent for the famous Oakmont Country Club located outside Pittsburgh, Pennsylvania. Snyder was at Oakmont from 1951-52, helping the club improve conditions in preparation for the 1953 U.S. Open and to establish tree plantings along the new Pennsylvania Turnpike, the highway which eventually split the golf course in two. Jack and his wife, Ruth, moved their family to Arizona, settling in Pinetop to run the White Mountain Country Club. Snyder helped lay out the club’s second nine, constructing the course using his knowledge of golf course design and maintenance. It was the development of White Mountain Country Club that ultimately established Snyder as a golf course architect. The family moved to Scottsdale in 1959, allowing Snyder to focus fulltime on golf course design. In 1965 Snyder was asked to consult with Amfac, Inc. on their growing Hawaiian golf and resort properties. He accepted a position as Director of Grounds Maintenance for Amfac, spending three years at the Kaanapali Resort Project on the Island of Maui, Hawaii. While living in Hawaii he became involved with the planning of several other golf course projects. Snyder designed six 18-hole courses in the Islands, helping to pioneer golf in Hawaii and establishing the state as a major golf destination. His completed courses are renowned throughout the west, Hawaii and Mexico. In total he designed more than 60 golf courses and remodeled numerous others. His planning work for new golf courses has taken him across North America, the Pacific and to Russia, where he worked with an international team to plan six golf courses along the Sea of Japan. Among his designs for resorts and private clubs are The Wailea Blue Course on Maui, Hawaii; The Royal Kaanapali South Course, also on Maui; Camelback Inn’s Club Course in Paradise Valley, Arizona; Cedar Point Club in Suffolk, Virginia; Mountain Shadows Resort in Paradise Valley, Arizona; Beaver Creek Golf Club in Lake Montezuma, Arizona; Volcano Golf and Country Club on the Big Island of Hawaii; and Concho Valley Golf Club in Concho, Arizona. Snyder’s work helped to forge many innovations in golf course design and development. In 1973 at the Boulders Resort in Carefree, Arizona, he designed the second nine, a rugged layout with split fairways, rock outcroppings and a natural look which was many years ahead of its time in terms of desert golf course design. He created the original 18-hole course at The Phoenician, establishing design guidelines which successfully integrated golf with the native desert terrain and slopes of Camelback Mountain. His work in Hawaii included preservation of native Hawaiian walls and lava outcroppings at Wailea’s Orange Course, integrating these features for interest and intrigue. Snyder, always compassionate for making golf enjoyable, brought his love for the game to several public-sector golf courses. He felt strongly that the municipal golfer deserved an equally challenging and beautiful golf experience. Among his celebrated municipal designs are Arroyo del Oso in Albuquerque, New Mexico; Ruby View Golf Course in Elko, Nevada; Eagle Valley Golf Course in Carson City, Nevada; Cave Creek Park in Phoenix, Arizona; and Ken McDonald in Tempe, Arizona. In the early 1960s he supervised construction on Papago Municipal Golf Course, a design by William F. Bell, but with plenty of Snyder’s influence, particularly in the green contours. In the early 1970s, Snyder met Forrest Richardson and developed a long collaborative relationship which continued until Snyder’s passing. Snyder and Richardson teamed up to create what is now known as Phantom Horse Golf Club. The two collaborated on many designs throughout the years. Among them have been Coyote Lakes Golf Club in Surprise, Arizona; Legend Trail Golf Club in Scottsdale, Arizona; The Hideout Golf Club in Monticello, Utah; and The Links at Las Palomas located in Rocky Point, Sonora, Mexico. In 2002 Snyder authored a chapter about many of his experiences in Routing the Golf Course, a book about the art of golf course design written by Richardson. Snyder served on the board of the American Society of Golf Course Architects from 1974 through 1982, when he was elected president. He was voted as a Fellow Member in 1987. 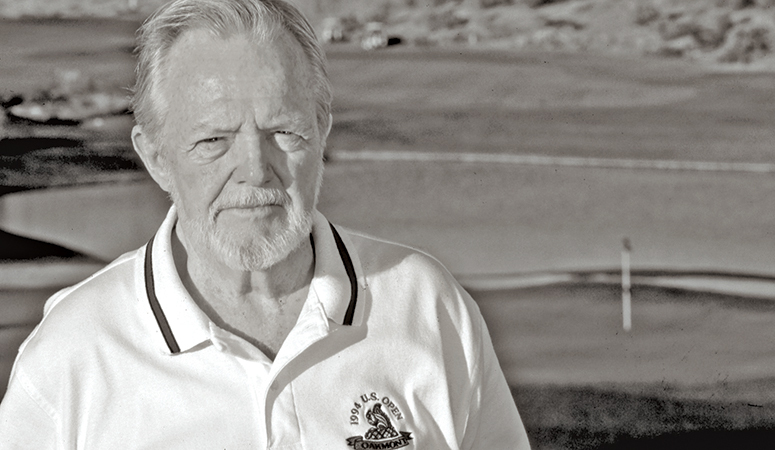 He was among only a handful of professionals to be a member of the ASGCA while also a member of the Golf Course Superintendents Association of America and the American Society of Landscape Architects. He was a Class AA Life Member of the Golf Course Superintendents Association of America. Snyder was registered as a landscape architect in both Arizona and Hawaii. Throughout the years his work was bestowed numerous awards and recognitions in many categories, and by many publications. In 2002 Snyder was inducted into the Arizona Golf Hall of Fame. As recently as 2003, his work in Utah received the “Development of the Year” honor by the jury of Golf Inc. Magazine. 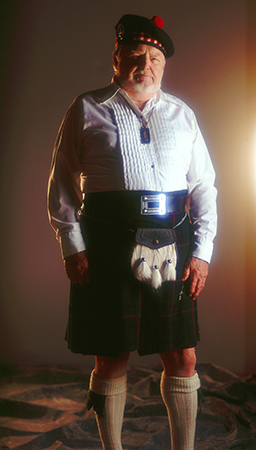 Proud of his Scottish Heritage, Snyder was active in the Caledonian Society, serving as Chieftain of the Scottish Highland Games in Phoenix in the 1970s. Among his other contributions was serving as a Deputy Sheriff for Navajo County, Arizona. In addition, he was a licensed pilot, flying his own private aircraft from project to project. Snyder was preceded in death by his wife Ruth in 1995. They had been married for 53 years. On March 19th, 2005, Snyder’s two daughters, Judith Marx and Jean Nolan, delivered moving tributes to their father at a special memorial service conducted at the Mountain Shadows Golf Club in Paradise Valley, Arizona. The two later repeated their tributes at the 59th Annual Meeting American Society of Golf Course Architects held in Pebble Beach, California during April of 2005. The occasion was marked by presenting the Society’s Distinguished Service Award posthumously to Snyder for his many years of service.